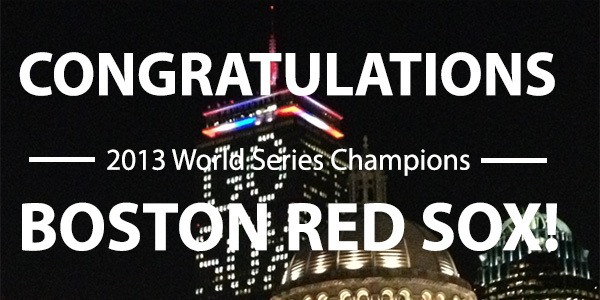 Celebrate Our Hometown World Champs With 15% Off! The CableJive office is in high spirits today, as you may have heard that a certain baseball team in our area was crowned World Champions last night! If you’re a fellow New Englander, you likely share this joyous feeling with us. If you happen to hail from another part of the world (most of you, I imagine) you may be feeling something akin to indifference, apathy, irritation, or full blown rage. Regardless, we’re all pretty stoked around here, and we want to share the feeling with everyone! But like all celebrations, the good times don’t last forever, so act fast! Ever since the iPhone 5 arrived I’ve been missing being able to throw it on the dock on my bedstand at night and have it fully charged in the morning. Right now there are no docks for the new Lightning devices, everyone waiting for Apple to authorize manufacturers to move forward, or to see what the grey market brings. 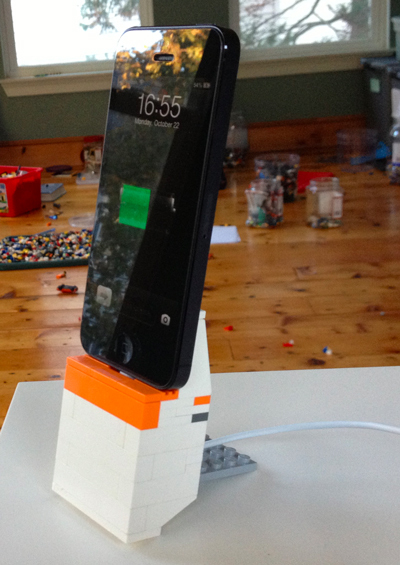 Enter the iPhone 5 Lego dock station, which my son and I built today using plans from The Daily Brick. It takes some unusual pieces, but a little digging in our “legoland” room we found everything we needed and even some parts to give it a splash of CableJive color. I wouldn’t say it’s the most stable solution, upon completion we immediately had ideas to make it better, but it will do until we decide it’s worth re-engineering to make it more stable and robust. Of course, if you have an iPhone 5 or other Lightning device and need to dock to an older speaker or car system with a 30-pin connector you can always pick up a dockBoss iPhone 5 Kit which lets you charge and listen to your iPhone 5, iPod touch 5th gen or iPod nano 7th gen on an older speaker dock. Back To School Giveaway Week 4 Winner & Wrap-Up! Congratulations to Felina Maris who won a New iPad! We had tons of people enter week after week throughout this giveaway, and all of the feedback has been super positive. It really has been a pleasure to run it. This was our first attempt at a contest of this magnitude, and we couldn’t be happier with how it went. Stay tuned for more contests and giveaways down the line, because if this one was any indication, we’re just getting started! Back To School Giveaway Week 3 Winner! Congratulations to Michelle Coles who won an iPod Touch! Back To School Giveaway Week 2 Winner!